Can you do this one ear up and one ear down thing with your ears?! Well, I thought not, but it’s one of my specialties! Hi there, I’m Ivan. Ivan the Sweet that is! Not to be confused with that other guy, Ivan the’¦oh, what was his name? I forget! 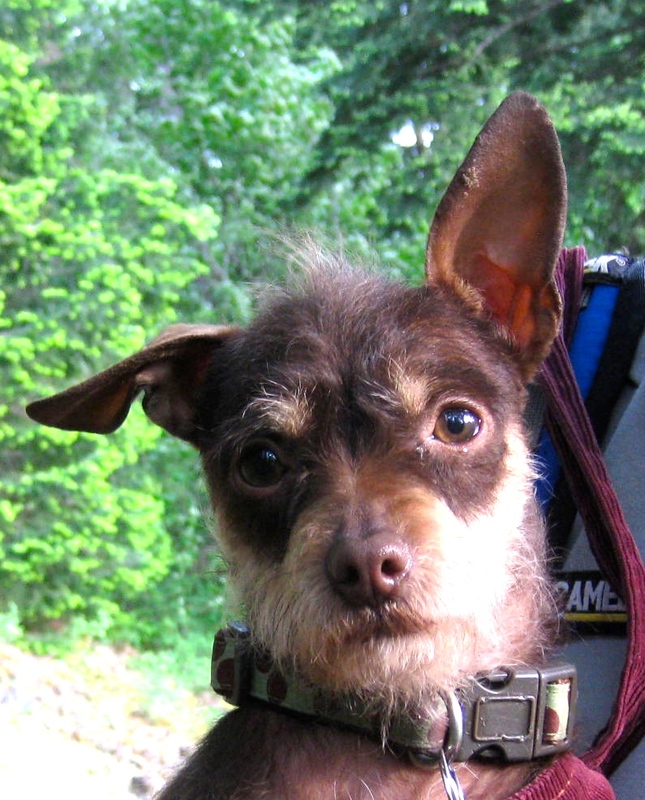 I’m a 6 pound, 2 year old Terrier mix, and a sweet, affectionate, happy guy. I love to snuggle, chew on my bone, and go on a nice walk. I am starting to get spunky and play with toys in my foster home where I am living until you find me and we fall in love!. I think life is all about stopping to smell the grass, then coming home for a good snuggle, and maybe a nap, don’t you?! I have epilepsy. I am very good about taking my medicine in my food and my seizures are short and sweet, like me. No biggie. I get along with grown ups and kids, dogs and cats! Because of my tiny size, I’m looking for a home with older kids or just grown ups.I come neutered, microchipped, current on all vaccines and my adoption fee is $250. Please FILL OUT an application at pixie project.org so we can fall in love and go off into the sunset together!